More rubbish pictures for you here. This version looks to be quite a bit darker than the first one. It similarly started off with a creamy 2 finger head, which soon dissipated to a fingerish. Aroma: coffee and milk chocolate, both of which come over stronger than in the Wollesaeter version. Faint earthiness and chocolate covered crerry liquor. Warm brown bread with full fat cream spread on top. Taste: fruity coffee and cherry ( more like dark cherry when half of the pit has been exposed) and a hint of very pleasant tartness. Milk chocolate with dark cocoa powder dusting . Dark fruits. Sweet, malty, but not cloying. No bitterness apparent! Hint of blackcurrant cordial. Dark fruit and the sweetness come out more as the beer warms, but are balanced by the acidity and minimal bitterness which only with warming up shows itself. Sorry for the crappy pictures, but my phone seems to hate me since I dropped it in a buddle when getting out of my car at the start of the month. Dark brown. Clear when the condensation and chill haze give way. Creamy 2 finger light tan head that dissipates to a single finger. Aroma: musty, secondhand books, mushrooms fresh from the forest, dates dried in the sun until hard. Hint of milky Italian coffee and milk chocolate. 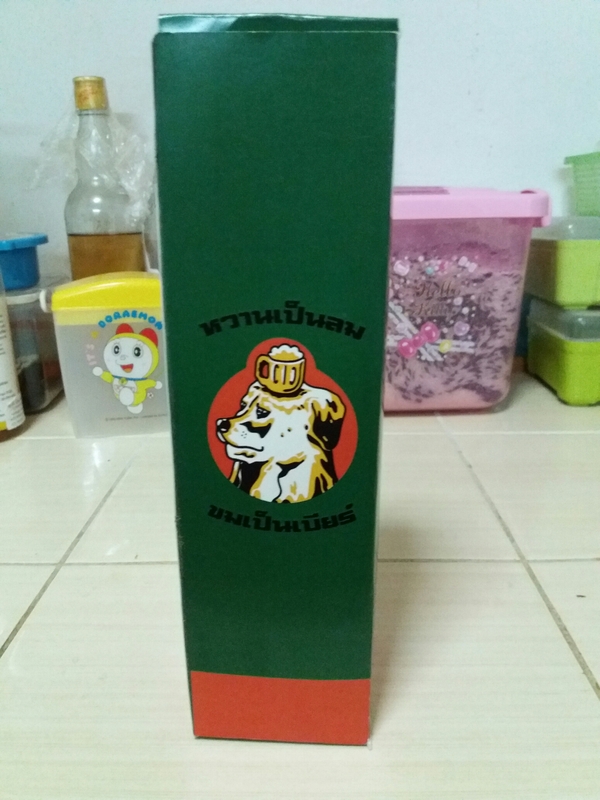 Taste: milky yet strong Italian coffee mixed with orange liqour. Mixed pepper corns, mace, cinnamon, earth on a hot day as it starts to rain. Wonderfully smooth and creamy mouthfeel. Bitterness comes over as being MUCH higher than it is, but in a good way, had it not been a lower AA hop, it would have been much too bitter. Watered down dark rum. 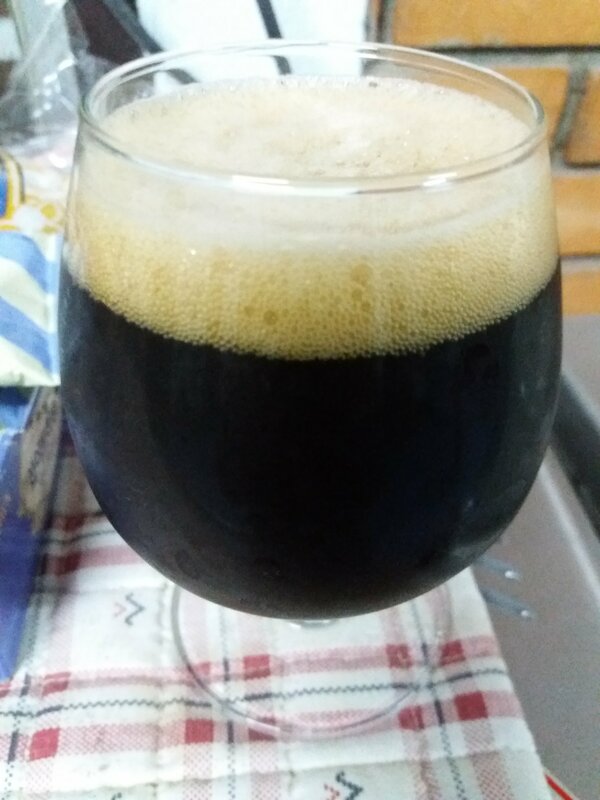 The coffee and earth come through much more as the beer warms, as does the perception of alcohol, which gives a pmeasent warming effect. Very much unlike a conventional British brown, which Mr Styles intended it to be. This will be the first post in series based around a beer given to me by Mr Styles for Christmas 2017. I know. Soooooo long in the making. In fact, I was going to start my write up the other day until I found myself without the notebook in which I had written all of my tasting notes. And 130gr TF red crystal which I took upon myself to add. 18gr Fuggles at 60 minutes and 7gr Fuggles at 20 minutes. This was a 13 litre batch of 1.060 OG that I split up and fermented with three Kveik strains; Wollsaeter(fg 1.015), Ebbegarden(fg 1.018) and Midtbust( 1.010). Coming soon are tasting notes. I didn’t do such a good job of remembering to take pictures, which has been an ongoing thing with me of late. I took inspiration for this beer from DeWayne on Milk The Funk and was just looking for something simple, refreshing and quaffable. The grain bill was super simple: 90% Weyermann pils and 10% cane sugar. It was mashed at 66c for 45 minutes. We will call it OG 1.040. 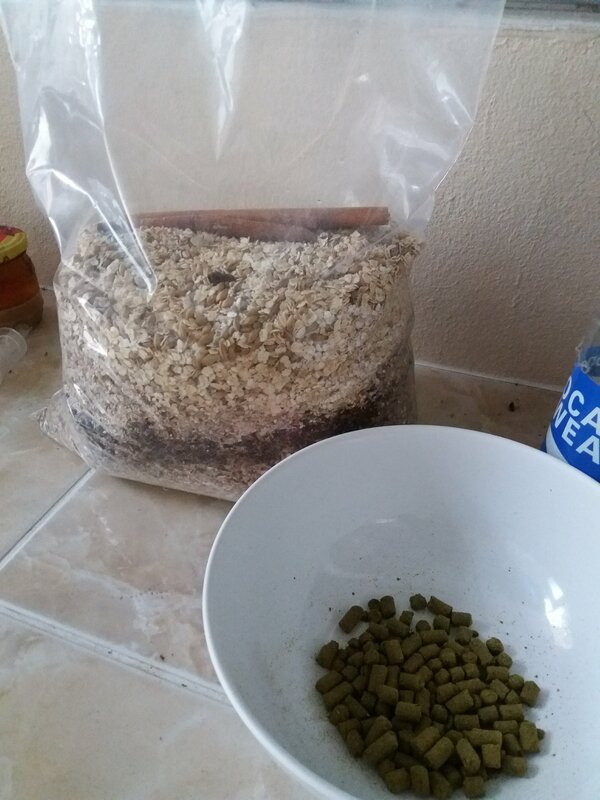 There were no hops in the boil, but after 1 week of fermentation at about 26c, I dry hopped it with 40gr of Bobek in a 6ltr batch. Appearance: “slightly” hazy pale golden yellow with a creamy 1 finger foamy head that quickly dissipates. Aroma: upfront peach and apricot with a hint of peach melba yoghurt and lemony grassiness from the dry hops. Grainy malt, hey and a slight hint of funk. Taste: peach, apricot and honey followed by a pleasant light yet very enjoyable acidity which tingles the palate. 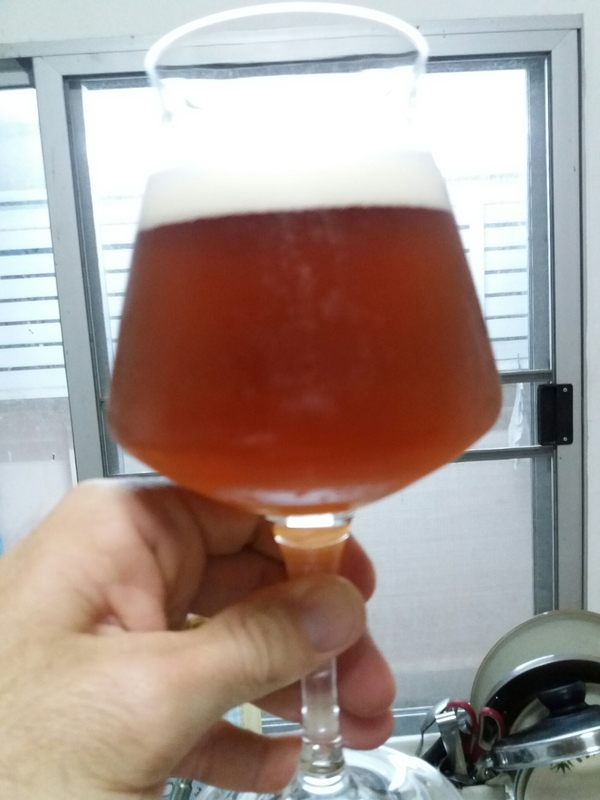 Floral lemony Bobek dry hop flavour, but given the amount I used in this small batch, quite subdued. Bready, grainy malt character. Malty in a dry finish pils kind of way, but not sweet despite the 0IBUs( theoretically anyway). 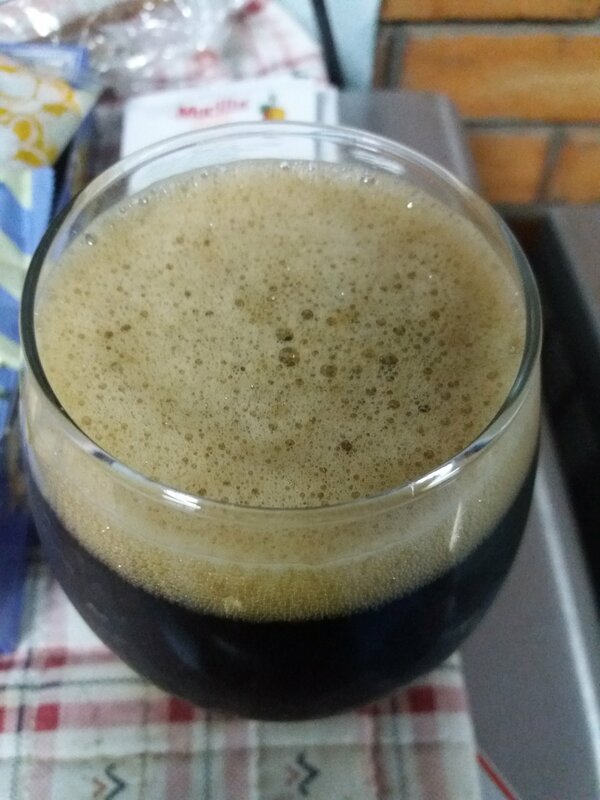 Very dry finish, but a little thin and needs a little more carbonation. All in all it is a lovely little refreshing tart dry hopped quaffer, just right for the 37c we are having at the moment. 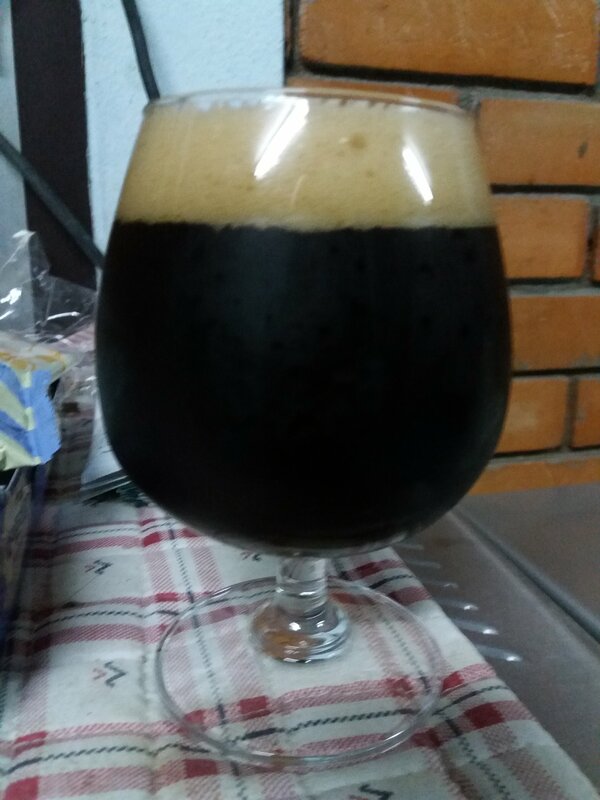 If I were to brew it again, and I might well do, I would do away with the sugar, mash hotter, up the OG( least favoured of the choices) or add some rye malt to make it drink bigger. I am very sorry for neglecting my blog, but work/study load and family have left me with very little time. So a Merry Christmas to you all, from my day at Hell School, whilst my students are watching the British Cristmas classic, The Snowman(1982). This beer was brewed using a few strange methods, no boil not being all that strange. 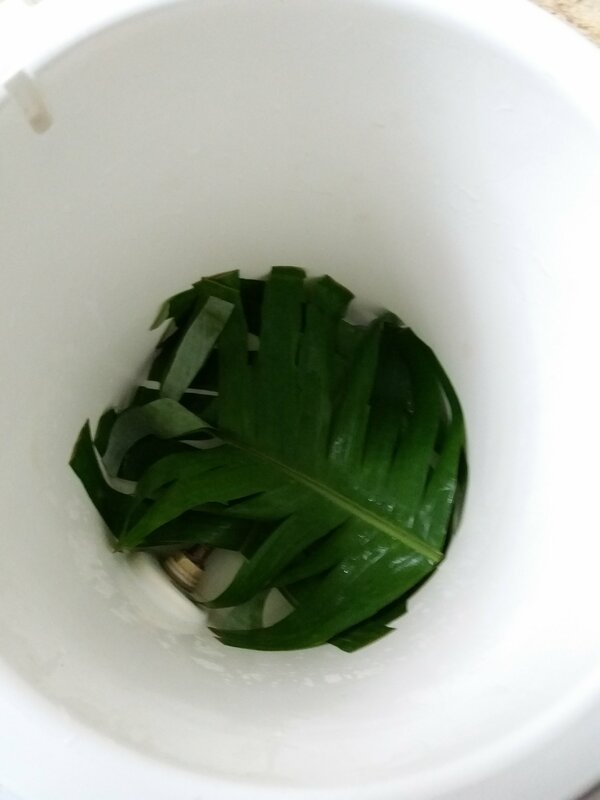 I added freshly cut banana leaf to the mash tun to help with filtering, I mash hopped AND I mash spiced it. Appearance; classic stout shade of jet black with a tan head, which dissipates quickly but reforms without too much swirling of the glass. Aroma; cocoa, coffee, milk chocolate and stone fruit with undertones of cinnamon and nutmeg. A faint hint of butterscotch. No clove comes through. A suggested memory of peanut skin. When warmer a touch of clove comes through. 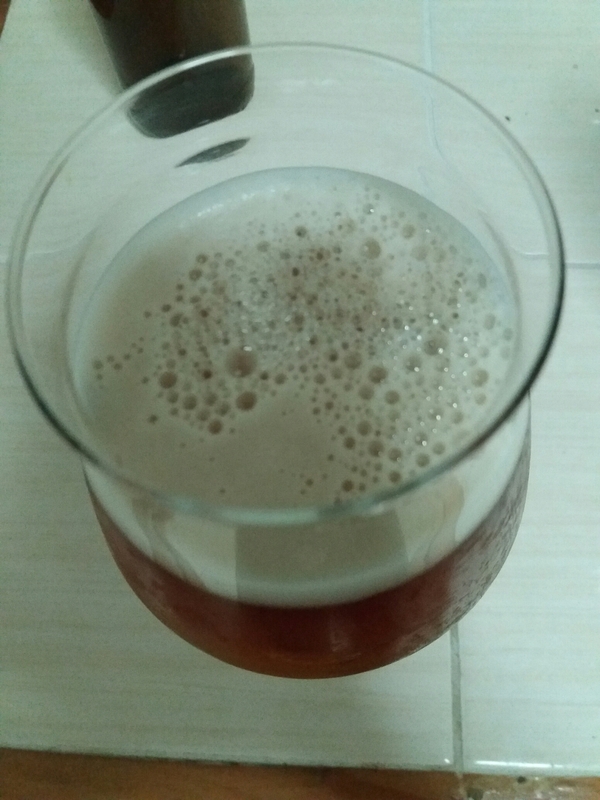 Flavour; mouthfeel is full and creamy smooth, but with enough carbonation to lift from the palate. Starts a little peppery with cinnamon and nutmeg coming through much stronger than they did when the beer was young. Damsons and raisins with a light dusting of dark chocolate. Very smooth roast profile. If a beer could taste of a colour, this would be charcoal grey. Whilst not what I was aiming for, this beer was a very pleasant experiment. 10 out of 10 pleasants. Despite lack of firm bitterness the beer does not come over as too sweet at all. My mother-in-law wants me to teach her to brew this beer. 25gr Columbus pellets in the mash along with 2 cinnamon sticks, 1/4 teaspoon og grated nutmeg and 2 cloves. I follow this guy on my wife’s FB account. He puts a lot into his presentation AND into remaining undetected by the police. He sets up shop in Sois around the city only on Friday nights, serving from two taps in his wooden clad motorbike trailer. 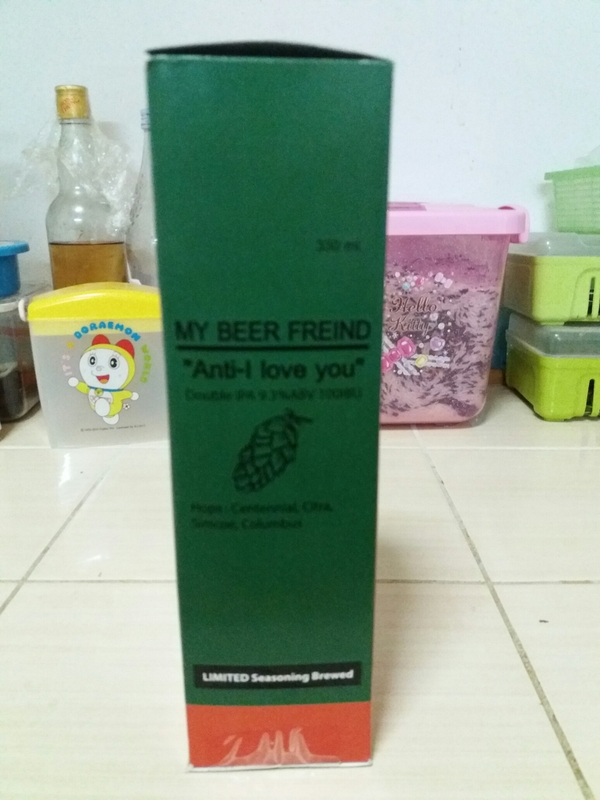 I had wanted to try his beer for a long time already,when my wife asked me if his beer was good,as she liked the old fashioned theme,often traditional medicine,of his packaging. But,I don’t get out much. And, the one time I had set myself up to go for a beer,a funeral happened. End of beer outing. But,I am a very lucky man. I happen to work with some very super fantastic cool guys. 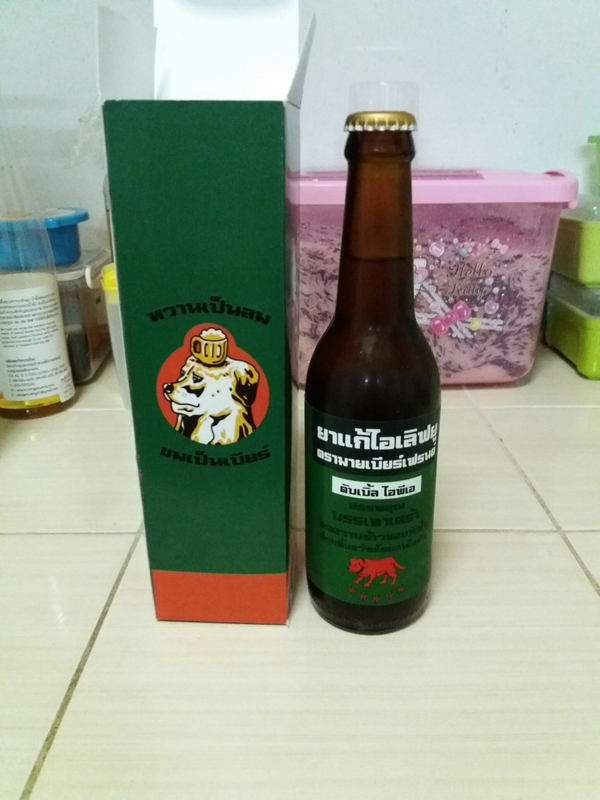 After being told via Line that this beer was 250Baht a bottle,I had to opt out. So,the fact that I was given the opportunity to try this beer is thanks entirely to Baby Rob and Original Phil. Thank you lads! Appearance: Poured with very little carbonation. Almost still. 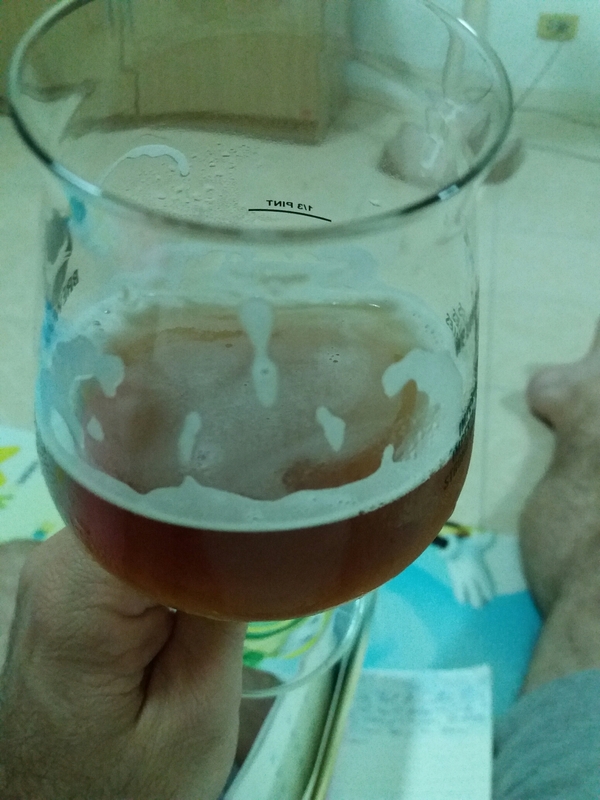 Half finger head from an aggressive pour,quickly receding to a faint covering. Chestnut/light brown. Aroma: Big in you face sweet toffee malt,of the crystal malt kind. Nose stuck in the glass you get a hint of Columbus and cat pee(from the Citra?). A lot of crystal malt carries through. 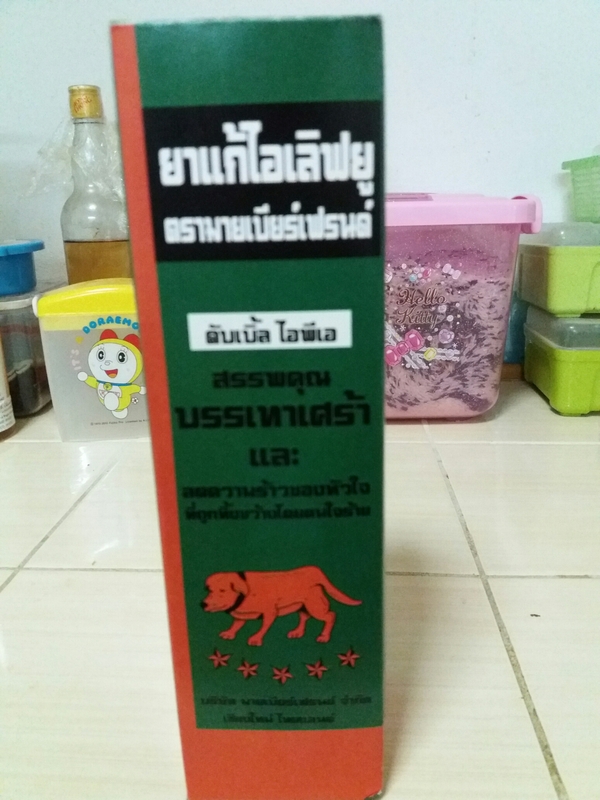 Taste; Big thick coating mouthfeel. Lacking in enough carbonation to help lift the sweetness from the palate. Rather soft,yet pleasing bitterness that coats the mouth and backs of the teeth. A slight alcohol warmth on the way down,but not boozey by any means. A little Citra mixed with Simcoe comes through on the after taste. As it warms,a slight hint of coffee,of all things,comes through on the taste and aroma. 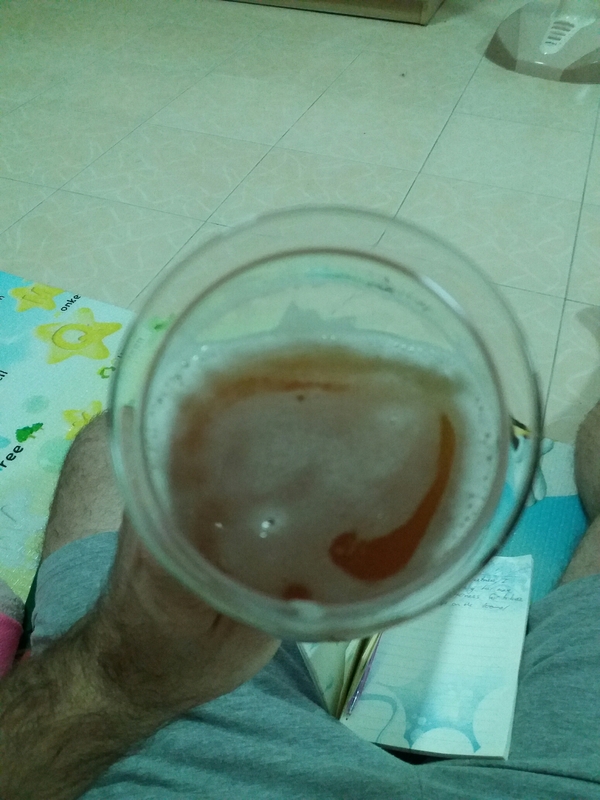 I find myself looking for more bitterness to balance the sweetness and more flavour/aroma hops. Overall, sweeter and less bitter than I had imagined,but very enjoyable and enough to calm my hop cravings. Again, big thank you to Baby Rob and Original Phil for making my Saturday with this present.